From 1792 through 1797 Benjamin Banneker, an African American mathematician and amateur astronomer, calculated ephemerides (tables of the locations of stars and planets) for almanacs that were widely distributed and influential. Because of these works, Banneker became one of the most famous African Americans in early U.S. history. On November 9, 1731, Benjamin Banneker was born in Baltimore County, Maryland. He was the son of an African slave named Robert, who had bought his own freedom, and of Mary Banneky, who was the daughter of an Englishwoman and a free African slave. Benjamin grew up on his father's farm with three sisters. After learning to read from his mother and grandmother, Benjamin read the bible to his family in the evening. He attended a nearby Quaker country school for several seasons, but this was the extent of his formal education. He later taught himself literature, history, and mathematics, and he enjoyed reading. As he grew into an adult, Banneker inherited the farm left to him by his grandparents. He expanded the already successful farm, where he grew tobacco. In 1761, at the age of thirty, Banneker constructed a striking wooden clock without having ever seen a clock before (although he had examined a pocket watch). He painstakingly carved the toothed wheels and gears of the clock out of seasoned wood. The clock operated successfully until the time of his death. At the age of fifty-eight Banneker became interested in astronomy (the study of the universe) through the influence of a neighbor, George Ellicott, who lent him several books on the subject as well as a telescope and drafting instruments (tools used in astronomy). Without further guidance or assistance, Banneker taught himself the science of astronomy. He made projections for solar (of the Sun) and lunar (of the Moon) eclipses and computed ephemerides for an almanac. In 1791 Banneker was unable to sell his observations, but these rejections did not stop his studies. In February 1791 Major Andrew Ellicott (1754–1820), an American surveyor (one who maps out new lands for development), was appointed to survey the 10-mile square of the Federal Territory for a new national capital. Banneker worked in the field for several months as Ellicott's scientific assistant. After the base lines and boundaries had been established and Banneker had returned home, he prepared an ephemeris for the following year, which was published in Baltimore in Benjamin Banneker's Pennsylvania, Delaware, Maryland and Virginia Almanack and Ephemeris, for the Year of Our Lord, 1792; Being Bissextile, or Leap-Year, and the Sixteenth Year of American Independence. Banneker's calculations would give the positions of the planets and stars for each day of the year, and his almanacs were published every year from 1792 until 1797.
acknowledged Banneker's letter and forwarded it to the Marquis de Condorcet, the secretary of the Académie des Sciences in Paris. The exchange of letters between Banneker and Jefferson was published as a separate pamphlet, and was given wide publicity at the time the first almanac was published. The two letters were reprinted in Banneker's almanac for 1793, which also included "A Plan for an Office of Peace," which was the work of Dr. Benjamin Rush (1745–1813). The abolition societies of Maryland and Pennsylvania were very helpful in the publication of Banneker's almanacs, which were widely distributed as an example of an African American's work and to demonstrate the equal mental abilities of the races. The last known issue of Banneker's almanacs appeared for the year 1797, because of lessening interest in the antislavery movement. Nevertheless, he prepared ephemerides for each year until 1804. He also published a treatise (a formal writing) on bees and computed the cycle of the seventeen-year locust. Banneker never married. He died on October 9, 1806, and was buried in the family burial ground near his house. Among the memorabilia preserved from his life were his commonplace book and the manuscript journal in which he had entered astronomical calculations and personal notations. Writers who described his achievements as that of the first African American scientist have kept Banneker's memory alive. 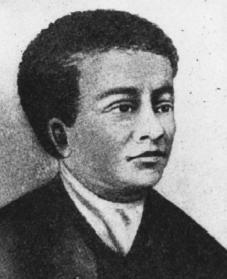 Recent studies have proven Banneker's status as an extremely capable mathematician and amateur astronomer. Bedini, Silvio A. The Life of Benjamin Banneker. New York: Scribner, 1971. Ferris, Jerri. What Are You Figuring Now? A Story About Benjamin Banneker. New York: Scholastic, 1988. Pinckney, Andrea Davis. Dear Benjamin Banneker. San Diego: Harcourt Brace, 1994.
this is only for you. you need to read this carefully you ugly black thing ok. When you are done with this get some water because it might leave your tongue dry. ok.
Benjamin Banneker is one of the most influential black scientists in history. a wonderful lead when seeking the truth...aways research. Benjamin Banneker is a very great mathmatician.This article was very influential and it lets people know alot about him. this was a nice piece it will not leave your tongue dry. There is some misinformation above. There is also good information. Banneker was literally a mathematical whiz kid. He also learned spherical geometry when his interest in astronomy was ignited by a telescope given to him by neighbor George Ellicott. Ellicott was 20 years younger than Banneker. It was the elder Ellicott who gave Banneker a chance to survey the land that would become Washington, D.C. Banneker did not design Washington, D.C. He had less than an elementary school education. He constructed a wood clock from the model of a pocket watch he was given. The clock worked until his death in 1806! His grandfather (Banna ka) was a slave from Mali; his grandmother Molly Welsh a white English woman who purchased and married him. Banneker had three sisters. My research suggests that he met freemason Prince Hall in Philadelphia between 1792-1797.